Although it was Charles Darwin himself who more than a century ago voiced his intention to support a complete catalogue of all known plant species, such is yet to be realised. 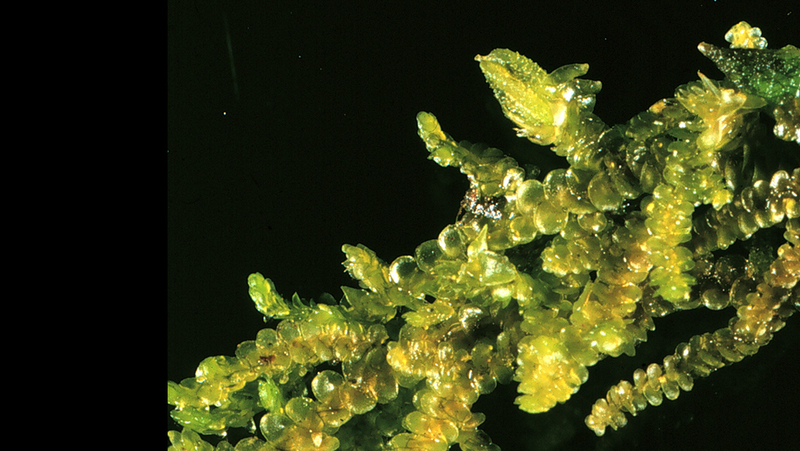 In the present paper, however, an international research team present the first ever worldwide checklist of hornworts and liverworts, covering 7485 species from across 396 genera and representing 92 families from the two phyla. “This group of generally small-sized plants are an important component of the vegetation in many regions of the world, constituting a major part of the biodiversity in moist forest, wetland, mountain and tundra ecosystems,” says Prof. Lars Soderstrom, the lead investigator from the Norwegian University of Science and Technology. The initiative is a part of the Global Strategy for Plant Conservation aiming to list the whole known plant kingdom by 2020. Their work is published in the open-access journal PhytoKeys. Assembling a working digital list of all known plant species is a staple within the Global Strategy for Plant Conservation, a framework whose ultimate goal is to halt the loss of plant diversity, which, unfortunately, is already a widely recognised fact. Without such a list, few other targets from the strategy would be met, since there would be a lack of baseline information. There would not be accessible and accurate botanical name information to utilise in researches, conservation and sustainability projects. Eventually, it would be impossible for taxonomists to stand their ground in the atmosphere of real-world politics. “The present checklist is a result of a lengthy endeavour, started in 2008 at an international meeting hosted by The Field Museum, Chicago, and has blossomed to include over 40 authors and numerous individuals worldwide as well as several funding agencies allowing for a joint community effort to bring this to fruition,” says Dr. von Konrat. Working towards a consensus, together they managed to utilise the existing dataset and centralise nomenclature, taxonomy and geography on a global scale – something that had long been deterring such projects. Liverworts and hornworts are of critical biological and ecological value, and an important component of the vegetation in many regions of the world. Liverworts, for example, are so widespread that can be found all the way from coastal Antarctica to the tundra of the Northern hemisphere and from the quite dry areas of Australia to the rainforest of Amazonia. Growing almost everywhere, they have turned into a microhabitat for a myriad of organisms such as single-celled eukaryotes, protozoa, and a wide range of invertebrates. Moreover, both liverworts and hornworts play a vital role in the global carbon budget and carbon dioxide exchange. In the past they have even been used as climate change indicators and could be used as such to track potential signs of global warming in future. In conclusion, the authors remind that their completion of the world checklist of hornwort and liverwort species is only the first phase towards the ultimate goal – a worldwide list of accepted plant names. Now, that there is a “virtual instrument with a linked environment both internally (e.g., within an article) and externally (GBIF, IPNI, Tropicos, Wikispecies, etc.) that will undoubtedly help accelerate taxonomic research,” the scientific world can set its sights on the next step – creating an easily accessible and generally recognised online platform for the supplementary information. It includes over 25,000 publications, almost 39,000 published names, and the over 700,000 geographical observations and the researchers believe that it will draw the attention and help of ecologists, conservationists, scientists from other disciplines and general interest groups. “The broader accessibility to the wealth of auxiliary data will help augment monographic and revisionary work for many taxonomic groups, aid in identifying the need for increased floristic and survey work in many regions throughout the world, and have broad implications and applications beyond taxonomic research such as conservation science,” the scientists summarise. “However, such an effort can only be successful if it comes with sustained funding and infrastructure rather than depending on an ad hoc commitment by a few individuals, however dedicated”.